It’s definitely fair to say that Serbian talent Veljko Jovic is hard working artist and one of the Serbian’s finest techno music producer of new age. 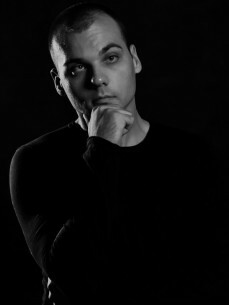 DJ Veljko Jovic started DJ-ing when he was only 14 years old, shortly after that he went into music production. His inexhaustible creativity in the studio makes him one of the most prolific artists with more than 100 references on labels such as Funk'n Deep, Yin Yang, Renesanz, Patent Skillz and many more. After releasing a few huge releases on mighty Yin Yang records and reaching #1 best selling release on Beatport Hard Techno genre he continued to bring quallity tracks focused more on futuristic, melodic and experimental sound. Specific aprproach in music production and track selecting, abillity to create and perform his music in a lot of different ways, from dark and minimalistic, to full of emotions and rich melodic sounds made him become recognizable and different from others techno artists. Amazing involvement in music production got him many great gigs, both clubs and festivals around Europe. When DJing, he’s known for technical skills of mixing different genres from house and warm organic taste of sound to the modern progressive, minimal and digital techno sounds which turns people into fired crowd even it is small club room, or highlight open-air festival. In order to bring platform where music will be out of borders he founded I AM DIFFERENT in June 2016 as a cluster of ideas in a constant search for a different kind of sound, a characteristic identity and an artistic view of the world. It was formed as a record label which presents the real culture of electronic music through its artists' releases, while supporting the idea of difference, equality and originality. Far from comfortable, Veljko has always remained faithful to his career as a multidisciplinary entrepreneur, and to date continues to surprise year after year with new and exciting ideas. After successfuly organized international IAD tour in summer 2017 he continues to move forward with a lot of passion and energy in his work and creativity for music.